Designated by the United Nations General Assembly in 1993, World Water Day helps put a spotlight on a range of global water issues. While water scarcity and pollution are most severe in developing countries, the United States has its share of concerns, too. If you live in the United States or many other developed countries, you can likely count yourself among the lucky ones on this planet. Across much of the developing world, water continues to be a daily crisis of both quantity or quality. Some have not enough to drink or what water is available is not safe to consume. Since then, we’ve come a long way. The United Nations reports that 2.6 billion more people now have access to an improved drinking water source than they did 26 years ago. But we also have much, much farther to go. 1. 663 million people don’t have access to safe drinking water. Despite gains in recent years to close this gap, there are still hundreds of millions of people across the world who don’t have access to the most basic necessity of life – clean drinking water. The vast majority live in the developing world, but even in the U.S. safe drinking water isn’t a given for everyone. Several high-profile incidents in recent years have highlighted this, although the issue is more widespread. In 2014, 300,000 residents of Charleston, West Virginia had their water supply contaminated by a chemical spill from storage tanks that were improperly maintained. And more recently in Flint, Michigan residents endured 17 months of exposure to lead-contaminated water. Problems persist in California, too, especially in small, rural communities where groundwater systems are often unregulated or communities do not have enough money to pay for treatments systems to remove all contaminants. About 2 million Californians get their water from systems that are not regulated by the state. Many are exposed to dangerous levels of arsenic and nitrates, among other things. The Community Water Center reports that around 1 million Californians are without a reliable source of clean drinking water. 2. 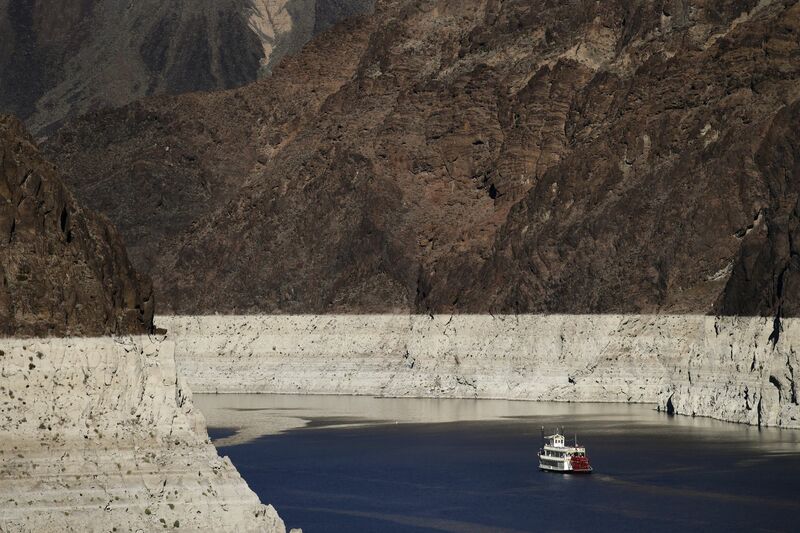 The Colorado River, which supports 16 million American jobs, is threatened. The theme for this year’s World Water Day is jobs, and in the U.S. the Colorado River is one of the hardest working rivers. A report from Arizona State University found that the river system generates $1.4 trillion in economic benefits each year to the seven Colorado River Basin states that rely on it (Colorado, Wyoming, Arizona, Nevada, Utah, New Mexico and California). By far the biggest economic haul comes from California, which generates $657 billion in annual gross state product. But jobs and money could be on the line, along with a lot more as the Colorado River has endured a “historic, extended drought,” that began in 2000, according to the Department of the Interior. The river faces not just a shortage of precipitation, but it has been vastly over allocated and mismanaged for decades. 3. The American Society of Civil Engineers gave the U.S. drinking water infrastructure system a D grade. The U.S. aging water infrastructure system is in dire need of an upgrade, which could cost more than $1 trillion, according to a 2013 report by the American Society of Civil Engineers (ASCE), which points out that there are 240,000 water main breaks a year – resulting in a lot of wasted water. The EPA puts the number for repairs a bit lower at $334.8 billion. Five regions will have to spend the most money: the Far West, Great Lakes, Mid-Atlantic, Great Plains and Southwest. In recent years, more of the cost of maintaining infrastructure has switched from the federal government to state and local governments. “Congressional appropriations have declined over the five-year period 2008 to 2012, totaling only $6.9 billion – an average of $1.38 billion annually or $27.6 billion over 20 years, 8 percent of EPA’s identified needs over 20 years,” ASCE found. California has had its share of recent problems, made even more painful by the drought. In February 2015, a Los Angeles water main break spilled more than 100,000 gallons of water, creating a neighborhood nuisance. But even more serious, on August 1, 2015 an 8-feet-high pipeline that supplies 40 percent of the water for 1.8 million residents of Santa Clara County ruptured, spilling 15 million gallons of water. 4. One third of the world’s major groundwater basins are being overdrafted. Research done using NASA satellite data by the University of California, Irvine found that we are quickly using up the water in a third of the globe’s biggest groundwater basins. Just how bad things really are because of this remains to be seen. “Given how quickly we are consuming the world’s groundwater reserves, we need a coordinated global effort to determine how much is left,” said Jay Famiglietti, a senior water scientist at NASA’s Jet Propulsion Laboratory. The studies revealed the rate of water loss, but it is still unknown how much water the aquifers contain. The Arabian Aquifer System, which provides water to 60 million people, is the most critically stressed aquifer in the world, the researchers found. Other highly stressed aquifers included the Indus Basin in Indian and Pakistan, North Africa’s Murzuq-Djado Basin and California’s Central Valley. 5. Nearly all of California is in drought. Despite the fact that it has been a wetter winter than the last several, 99 percent of California remains in some kind of drought and half of the state is in extreme drought, according to the U.S. Drought Monitor. Across the country, 12.5 percent of the continental U.S. is in drought, which translated to 39 million people who are affected. Help of some sort may be on the way. Yesterday, President Obama released a Presidential Memorandum directed at helping to build the country’s long-term drought resilience. The memorandum calls for instituting a National Drought Resilience Partnership, better coordination among federal agencies and better collection of data and information. The memorandum was released on the eve of World Water Day and a White House Water Summit to raise awareness of the problems and solutions.